Earn a $25 reward with a $500 purchase or less! 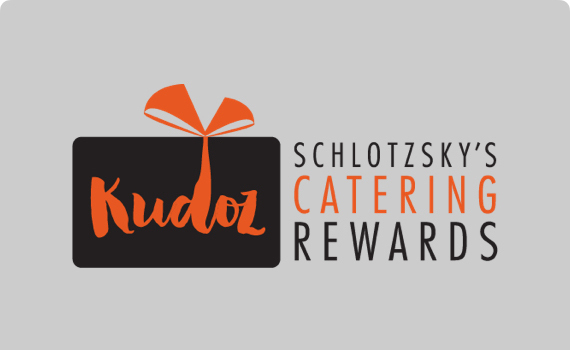 Receive bonus Kudoz points when you refer a new customer, place orders at least one day in advance or for multiple orders placed on the same day. We have so many great catering options to choose from, but you should definitely check out our latest and greatest additions. Schlotzsky’s fresh catering will take care of all your catering needs – from a small get-together to a large corporate event. 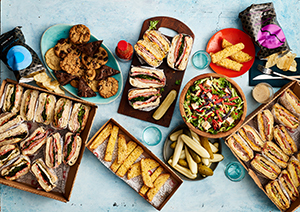 Order catering from Schlotzsky’s today! Legendary in Texas, Schlotzsky's has been the home of The Original® toasted sandwich since 1971. Uncompromised flavor and variety are at the core of what we do so you can count on a menu that will please your guests, including the highest-quality sandwiches on freshly-baked buns, savory soups, gourmet pizzas, artisan flatbreads, fresh-tossed salads and wraps. 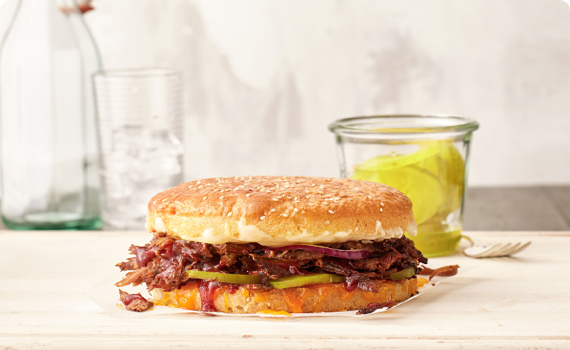 Whether picking up catering from your favorite location or having it delivered to your door, Schlotzsky’s is the answer for casual food served professionally. Check out what our clients are saying and then give us a call at 855.DELIVER for a feast your guests will crave! “From the first conversation I had with Lyndie the transaction was a pleasure. She helped us serve 135 busy constituents serving as convention delegates. The boxed lunches were delicious, well packed and delivered to our site. We could not be more pleased. This is the second year for this event. We will contact you again. Good job and thanks.” – Cheryl H.
“I know when I call my event is going to be great. The display of food along with the quality of the product sets a high standard for our events. I always get high compliments when Schlotzsky's is at our event.” – Lottie T “I always know it will be here on time and accurate and I don't have to worry about it! Friendly service also. Love the online ordering, awesome!” – Janet W.